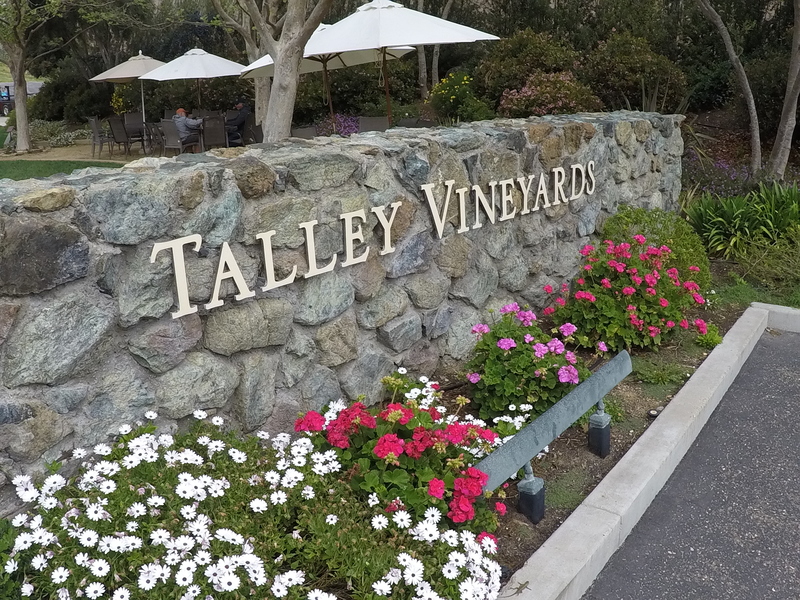 It’s the coastal breeze that encourages Talley Vineyards’ Pinot Noir and Chardonnay to express their character as they transition from vine to bottle, and that same breeze welcomed participants lucky enough to find themselves at the Spring Fling, held March 26 at Talley Vineyards. 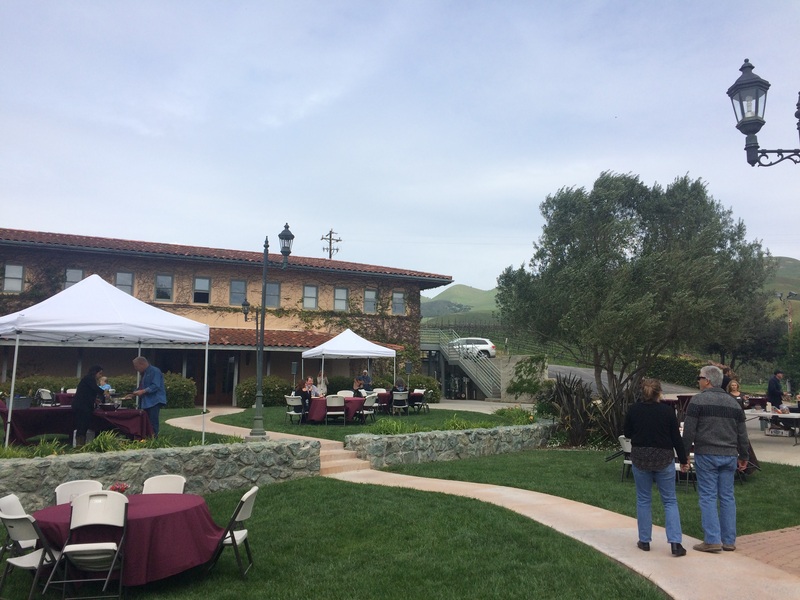 Talley Vineyards courtyard welcomes friends to Spring Fling. 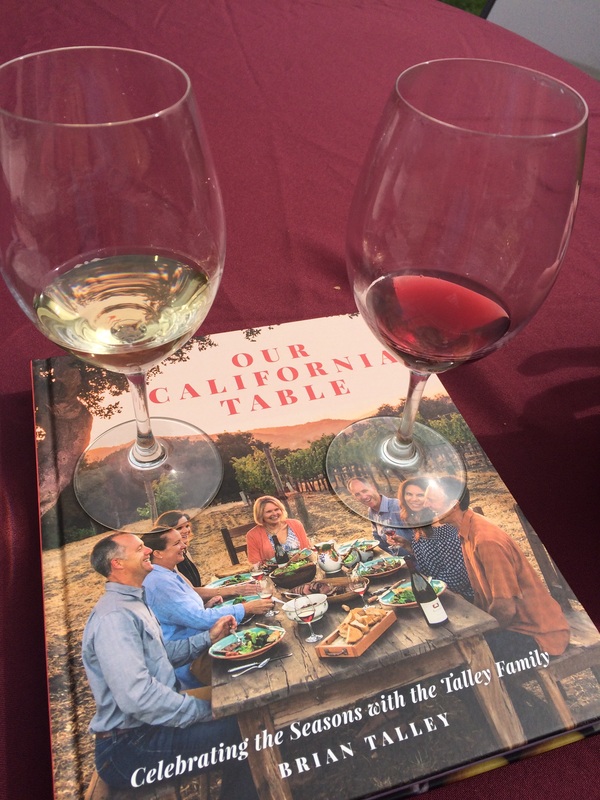 Dotted with tables holding flights of Talley Vineyards wines and signature dishes from the pages of Brian Talley’s new cookbook, “Our California Table: Celebrating the Seasons with the Talley Family,” the courtyard was the gathering place for those attending the event. Flavor Team tip: Do yourself, and anyone you care about, a big favor and get them a copy of “Our California Table.” It’s not only filled with great recipes, using fresh local foods and prepared with simple elegance, but it’s great reading, too! Stories, history, food, farming, and wine facts. A great book all around. 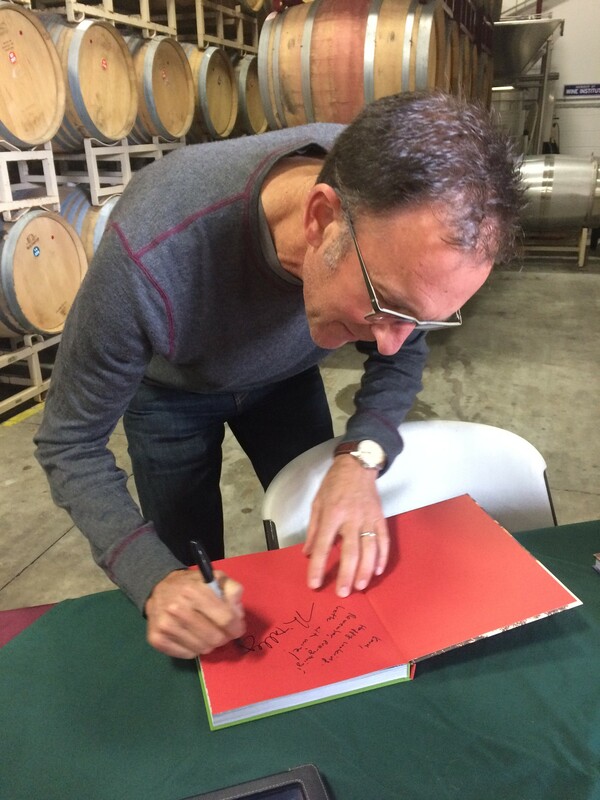 Brian Talley signs copies of his new cookbook, “Our California Table: Celebrating the Seasons with the Talley Family.” All profits go to support the Fund for Vineyard and Farm Workers. But the Spring Fling was more — way more — than sampling wonderful food and wine in a beautiful place while celebrating the arrival of spring. The real celebration was the event’s support of the Fund for Vineyard and Farm Workers. 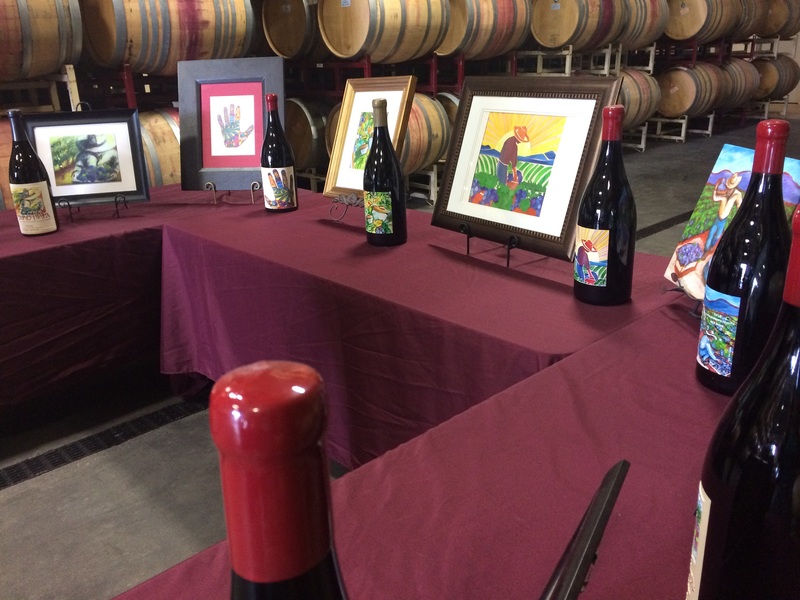 The key fundraising effort for the fund is the annual release of Mano Tinta (Spanish for “red hands”) wine, for which all grapes, materials, and services are donated. 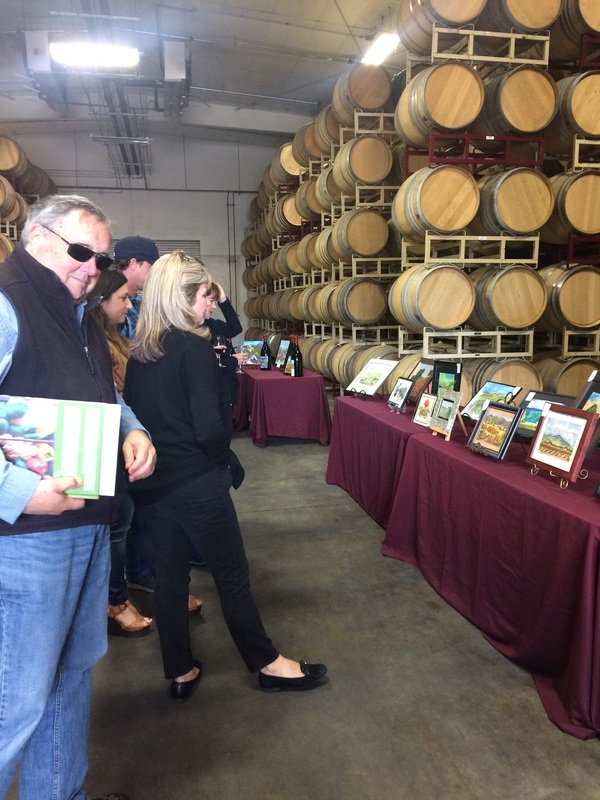 Inside the barrel room adjacent to the courtyard, this year’s entries for the Mano Tinta label art competition were on display for review and judging. 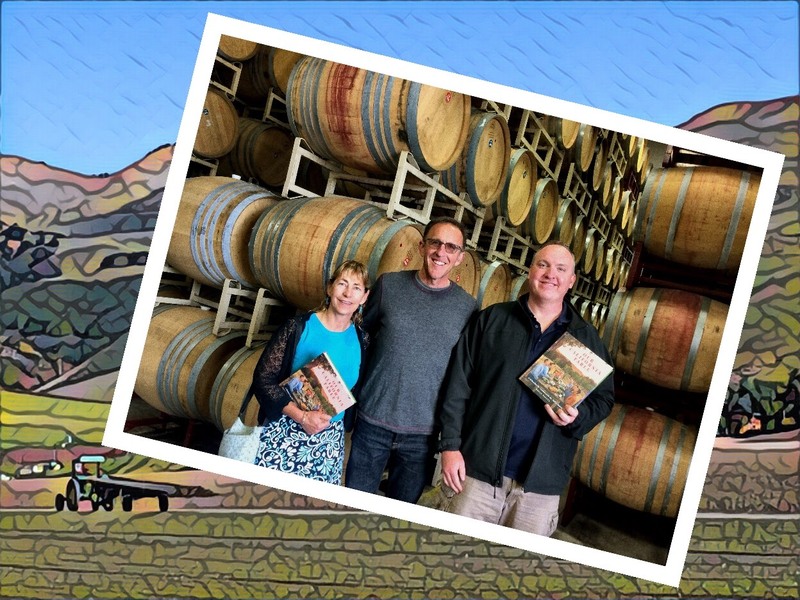 We encourage you to try — and buy — the current 2014 vintage of Mano Tinta, available in the tasting room, until the new vintage is unveiled. And this year, the fund has a new source of financial benefit: profits from “Our California Table” support the fund. 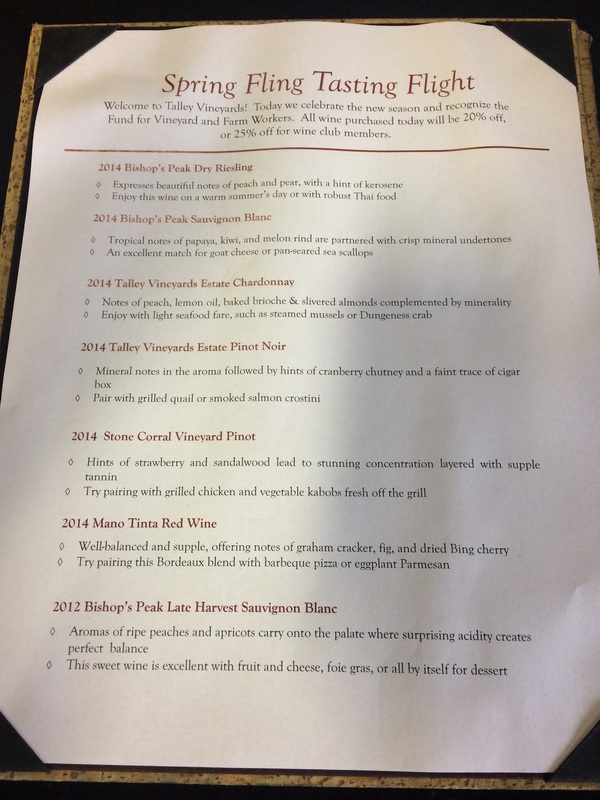 Just inside the barrel room was a table set up with “Our California Table” and Brian Talley graciously and enthusiastically signing books. 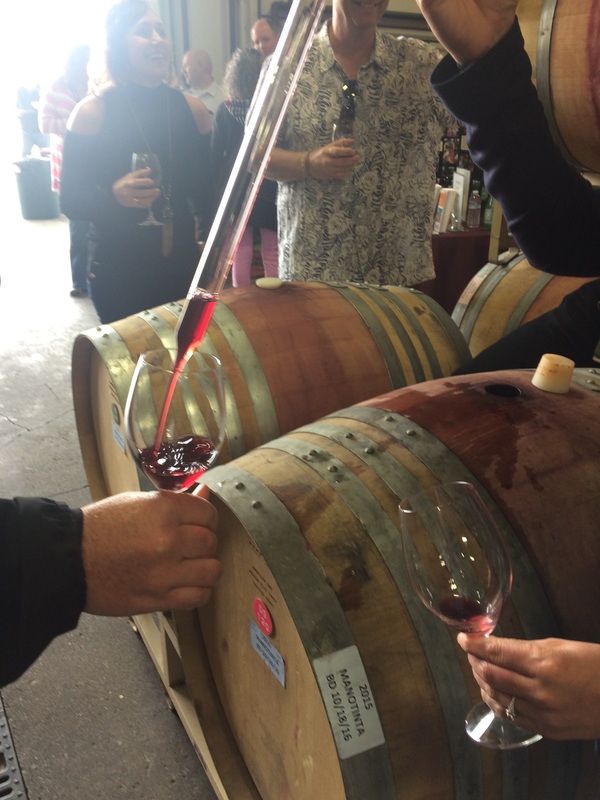 Across the aisle way, Talley Vineyard staff shared barrel samples from the 2015 Mano Tinta that awaits bottling later this year. Stay tuned for the winner of the label art contest. We hope you enjoy a few photos from the event. Barrel samples from the next Mano Tinta vintage. 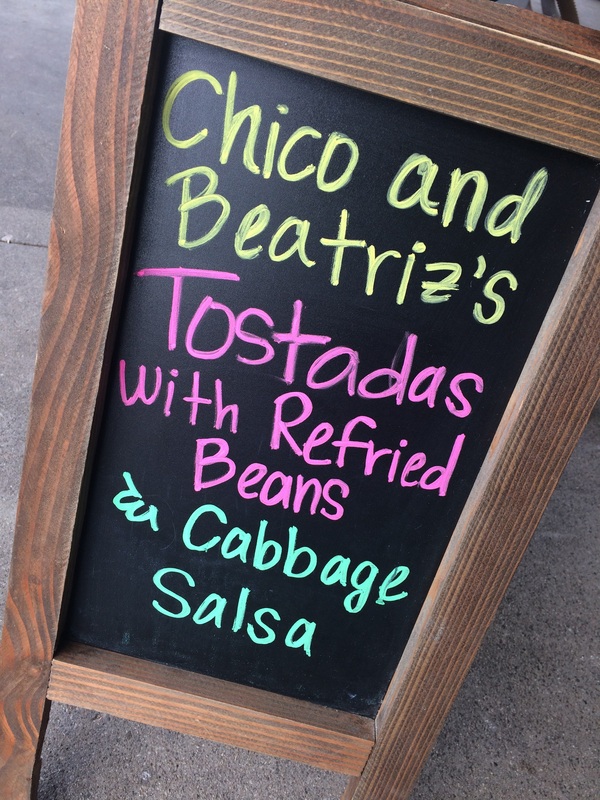 Recipes from “Our California Table” showcased the flavors of fresh, local food. Who will win this year’s Mano Tinta label art award? Stay tuned…. Flavor Team members Andrew and Kara, happy owners of Brian Talley’s new awesome cook/history/story book. Talley Vineyards wines presented at the Spring Fling. 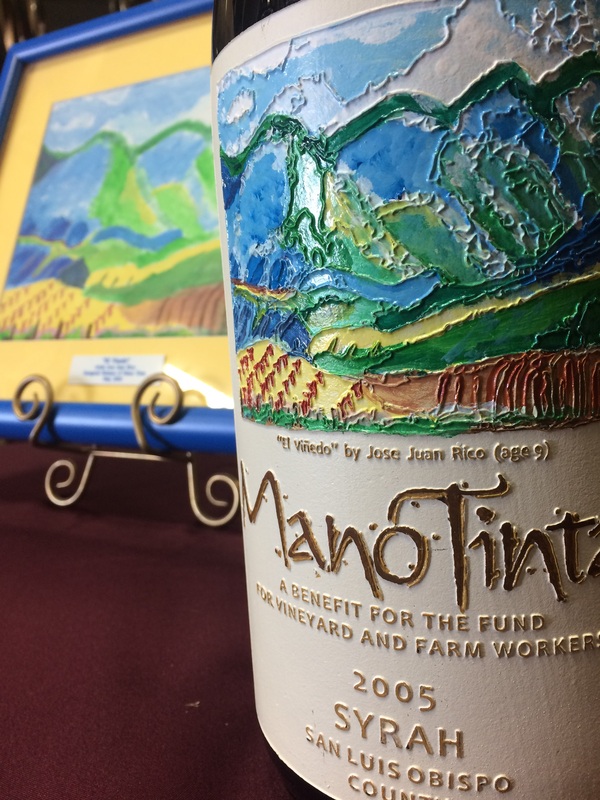 One of the first vintages of Mano Tinta and its winning label artwork in the background. Note the embossed label — a work of art in itself. Mano Tinta vintages through the years.